Very charming cottage with a relaxing environment, available from 1st April to 31st October. 20min from Le Neubourg and the stunning Champ de Bataille castle. 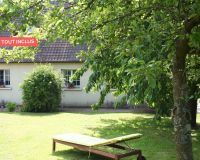 Near Oison valley, Christine's house accommodates a spacious and comfortable gite. 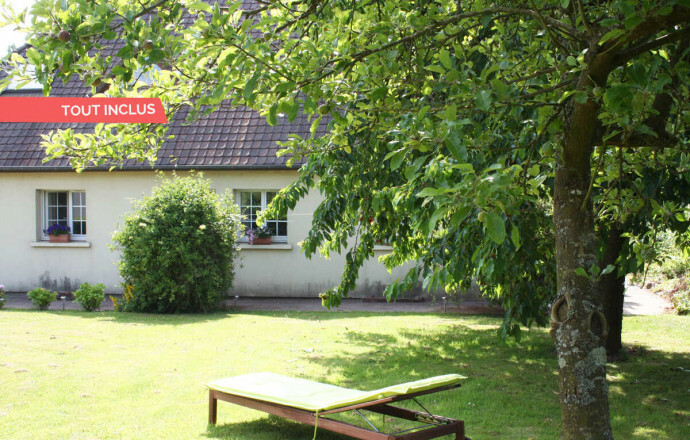 Overlooking a pretty garden with fruit trees, the accommodation is well-equipped and offers plenty of kind thoughts. The nearby countryside offers beautiful walk paths along which you will discover many streams. Heating, bed linen and towels are included in the rental price. LODGING ADJOINING THE OWNER'S HOUSING. FLOOR : Living room with kitchen area, two bedrooms (2 double beds whose one of 160x200), shower room, wc. Private unfenced garden (approx. 1000 m²) on a common ground of 2000 m².